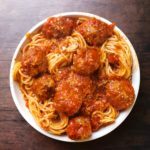 You can make these meatballs 2 ways; stove top or oven, see below for both ways. Dice up your onion and warm a large pan with Extra Virgin Olive Oil. Add onions to pan and let sweat for a few minutes. Add the minced garlic and stir on medium heat. Add the oregano, thyme, Italian seasoning and salt to the pan. Remember doing this step is important, it intensifies the flavors. (only for a few minutes). Stir everything together. While the onions are cooking, add the meats to a large bowl with the beaten eggs, parsley, cheese and salt. Do not mix yet. Pull onions off the burner and let cool down for about 3 minutes. Add the onion mixture to the meatballs. Mix the meatballs together. KEY: do NOT overmix. this is the biggest key with making meatballs. Just get them mixed enough, and yes use your hands. Make small to medium sized meatballs, not too big but ones that you need to slice with a fork. You can either at this point put the meatballs on a prepared baking sheet and pop them in the oven at 400 for 25-30 minutes or cook them in marinara sauce on the stove. If you are planning on serving them with a sauce I would recommend simmering with sauce this way because they cook right along with the sauce. 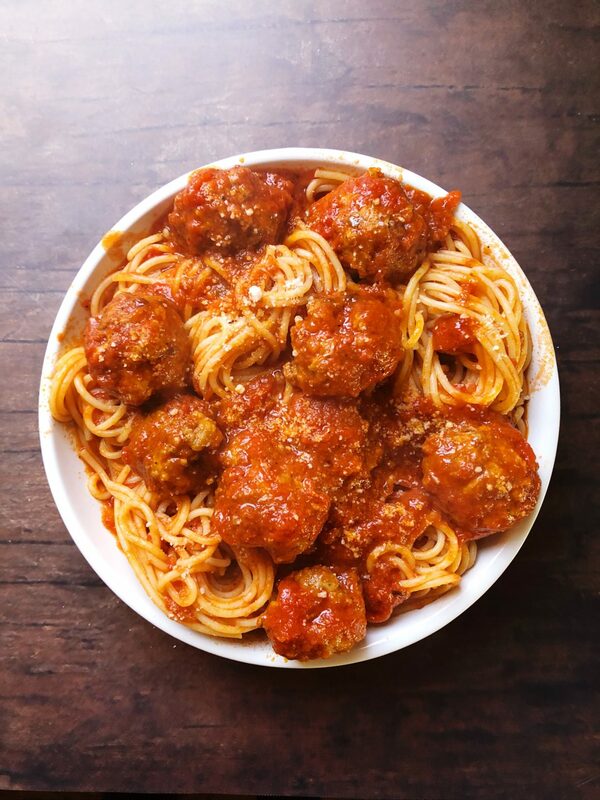 If using stove top, use same pan you cooked the onion mixture in and add marinara sauce to pan, add meatballs to pan, as many as will fit in the sauce. Bring marinara to a boil and cover and simmer on low for 30-35 minutes. The meatballs are ready when cooked through and register at 165. You can make these up to a day ahead and leave in fridge. I love making in the mornings and then popping in oven for dinner.